Description: The first and the classic Sonic The Hedgehog game that started this character off. 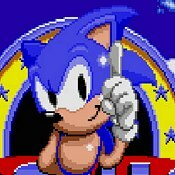 A rival to Mario back in the day, Sonic has grown into a famous SEGA charcter and is still making games today. Enjoy this classic!